Please visit the Notice for Jack Andrew Smart. Please visit the Notice for Elizabeth Jane "Betty" Scroggin. 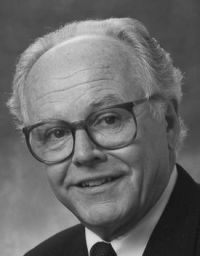 Scroggins, Raymond E. (11 Mar 1928 - 26 Oct 2008) . Scroggins, Raymond E. (11 Mar 1928 - 26 Oct 2008)  [FS:]. Widower of Scroggins, Jean Cadwallader (4 Sep 1926 - 30 Jun 2003) . Please visit the Notice for Toni Ann Nevis-Scrogin. Please visit the Notice for E. Dudley Scrogin. Please visit the Notice for Burelle Morrisey. Please visit the Notice for Jason Craig Smith. Please visit the Notice for Althea Gander Fox. Please visit the Notice for Susan F. Rothrock. Charlotte Fisk, 72, of Middlebury, Vermont died peacefully on October 13, 2008. Daughter of Earl Ellsworth Fisk  and Florence Leavitt Fisk , she was born and raised in Green Bay, Wisconsin. She attended Northwestern University where she studied drama, and then transferred to Rollins College. She moved to New Vernon, NJ with her family where she raised her children and ran her own business. In 1976 her family relocated to Vermont where they owned a farm in Cornwall. 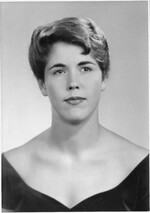 In more recent years, she was a resident of Middlebury, Vermont. Charlotte was an amazing quilter and handcrafter, and shared this gift with many people over the years. Owner of Charlotte’s Web in Bernardsville, NJ and later Charlotte’s Collections in Middlebury, Vermont, she was also selected during the Clinton Administration to hang an ornament she created on the While House Christmas tree. Charlotte was active in the Milk and Honey Quilter’s Guild of Middlebury, and played many key roles in that group. In recent years she took the lead in coordinating volunteers to make quilts for soldiers injured in the war in Iraq. She will also be remembered for her service on the Middlebury Volunteer Ambulance Squad, as someone with strong political convictions who served as a role model to many in advocating for women’s rights, her love for the dogs she adopted from the Humane Society over the years, and her passion for football as demonstrated by her support of the Green Bay Packers and the Middlebury Tigers. Charlotte fought many health battles over the years and amazed everyone with her ability to defy the medical odds, continuing to live independently, engaged in her local community and spending time with her family and her many wonderful friends. She will be remembered for her creative talents, compassion, sense of humor, and her positive attitude in even the most difficult of times. Charlotte was predeceased by her half-brother William Fisk  of DePere, Wisconsin. She is survived by her two children, William B. Astor , and G. Todd Astor , of Essex Junction, Vermont, his wife, Robin Rhodes Astor , and Charlotte’s three adoring grandchildren, Alexandra , Rebecca , and Stephen . She is also survived by her half-brother George Fisk  in St. Joseph, Michigan, seven nieces and nephews, and many great-nieces and nephews. Calling hours for her friends and family will be held on Saturday, October 25th from 2-4 p.m. at Sanderson’s Funeral Home in Middlebury, Vermont. In lieu of flowers, gifts may be made to the Addison County Humane Society. MIDDLEBURY - Charlotte Fisk, 72, of Middlebury, died peacefully on Oct. 13, 2008. Daughter of Earl Ellsworth Fisk and Florence Leavitt Fisk, she was born and raised in Green Bay, Wis. She attended Northwestern University where she studied drama, and then transferred to Rollins College. She moved to New Vernon, N.J., with her family where she raised her children and ran her own business. In 1976, her family relocated to Vermont where they owned a farm in Cornwall. In more recent years, she was a resident of Middlebury. Charlotte was an amazing quilter and handcrafter, and shared this gift with many people over the years. Owner of Charlotte's Web in Bernardsville, N.J., and later Charlotte's Collections in Middlebury, she was also selected during the Clinton Administration to hang an ornament she created on the White House Christmas tree. Charlotte was active in the Milk and Honey Quilter's Guild of Middlebury, and played many key roles in that group. In recent years she took the lead in coordinating volunteers to make quilts for soldiers injured in the war in Iraq. She will also be remembered for her service on the Middlebury Volunteer Ambulance Squad, as someone with strong political convictions who served as a role model to many in advocating for women's rights, her love for the dogs she adopted from the Humane Society over the years, and her passion for football as demonstrated by her support of the Green Bay Packers and the Middlebury Tigers. Charlotte fought many health battles over the years and amazed everyone with her ability to defy the medical odds, continuing to live independently, engaged in her local community and spending time with her family and her many wonderful friends. She will be remembered for her creative talents, compassion, sense of humor, and her positive attitude in even the most difficult of times. Charlotte was predeceased by her half brother William Fisk of DePere, Wis. She is survived by her two children William B. Astor, and G. Todd Astor, of Essex Junction and his wife Robin Rhodes Astor; and Charlotte's three adoring grandchildren Alexandra, Rebecca, and Stephen. She is also survived by her half brother George Fisk in St. Joseph, Mich.; seven nieces and nephews and many great-nieces and nephews. Calling hours for her friends and family will be held on Saturday, Oct. 25, from 2 to 4 p.m., at Sanderson's Funeral Home in Middlebury. In lieu of flowers gifts may be made to the Addison County Humane Society. Online condolences www.sandersonfuneral service.com . Copyright (c) The Burlington Free Press. All rights reserved. Reproduced with the permission of Gannett Co., Inc. by NewsBank, inc.
MIDDLEBURY ? Charlotte Fisk, 72, of Middlebury, died peacefully on Oct. 13, 2008.? Daughter of Earl Ellsworth Fisk and Florence Leavitt Fisk, she was born and raised in Green Bay, Wis.? She attended Northwestern University where she studied drama, and then transferred to Rollins College.? She moved to New Vernon, N.J., with her family where she raised her children and ran her own business.? In 1976 her family relocated to Vermont where they owned a farm in Cornwall.? In more recent years, she was a resident of Middlebury. ?Charlotte was an amazing quilter and handcrafter, and shared this gift with many people over the years.? Owner of Charlotte?s Web in Bernardsville, N.J., and later Charlotte?s Collections in Middlebury, Vt., she was also selected during the Clinton Administration to hang an ornament she created on the While House Christmas tree. Charlotte was active in the Milk and Honey Quilter?s Guild of Middlebury, and played many key roles in that group.? In recent years she took the lead in coordinating volunteers to make quilts for soldiers injured in the war in Iraq.? She will also be remembered for her service on the Middlebury Volunteer Ambulance Squad, as someone with strong political convictions who served as a role model to many in advocating for women?s rights, her love for the dogs she adopted from the Humane Society over the years, and her passion for football as demonstrated by her support of the Green Bay Packers and the Middlebury Tigers.? Charlotte fought many health battles over the years and amazed everyone with her ability to defy the medical odds, continuing to live independently, engaged in her local community and spending time with her family and her many wonderful friends.?? She will be remembered for her creative talents, compassion, sense of humor, and her positive attitude in even the most difficult of times.? ?Charlotte was predeceased by her half-brother William Fisk of DePere, Wis.? She is survived by her two children, William B. Astor, and G. Todd Astor, of Essex Junction, Vt., his wife, Robin Rhodes Astor, and Charlotte?s three adoring grandchildren, Alexandra, Rebecca, and Stephen.? She is also survived by her half-brother George Fisk in St. Joseph, Mich., seven nieces and nephews, and many great-nieces and nephews. Calling hours for her friends and family will be held on Saturday, October 25th from 2-4 p.m. at Sanderson?s Funeral Home in Middlebury. In lieu of flowers, gifts may be made to the Addison County Humane Society.? Please visit the Notice for Sandra A. Scroggins. Please visit the Notice for Cecilia Spindle. Please visit the Notice for Ray Scroggins. Please visit the Notice for Eula Jean "Madea" Allen. Please visit the Notice for Samuel Granado. Please visit the Notice for Kathleen Scroggin. Please visit the Notice for Vicky Lynn Scroggins. Vicky Lynn Scroggins, age 51, of Tekonsha, Michigan died suddenly on October 4, 2008. She was preceded in death by her mother Cynthia Whiteley. She leaves behind two sons Chris Hurst and wife Tracie, of Athens, and Mark Scroggins and fiancé Teresa of Union City. Her beloved grandchildren Hailee, Jaiden and Brock Hurst of Athens, Michigan, Father, Jimmy Ray Hurst of Dayton Tenn, Brother Paul Ray Hurst and wife Sissy of Kansas, Al and Greg Hurst of Knoxville Tenn. One sister Rhonda Badger and husband Clay of Kingston, Tenn. Several nieces and nephew. Visitation will be Tuesday at 6-8p.m. Service is Wednesday, 11:00a.m. at the funeral home with burial following at Burlington, Michigan. In lieu of flowers please send donations to Tekonsha Union United Church of Christ, Tekonsha, Michigan. Arrangements are with Spencer Family Funeral Home of Athens, Mi. Please visit the Notice for Herschel D. Nelson. Please visit the Notice for Hobert U.V. "Duke" Scroggins. Notice for Roger Allan Hosford Jr. Please visit the Notice for Roger Allan Hosford Jr.. Please visit the Notice for Wilmer Thomas "Mac" McAlister.